Complete day of rest today by the pool. There was an ice demonstration during the day too. 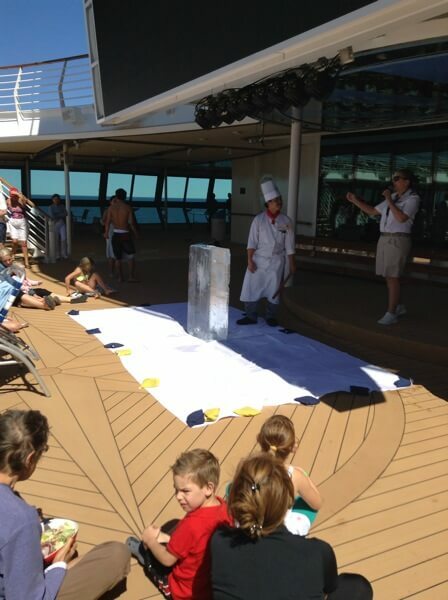 We were challenged to a game of Crazy Golf on Deck 13 by Suzanne and Graham…. At hole 4 Suzanne fell off the green and broke her foot! She hobbled down to dinner very cheerful actually considering the obvious problem. The show was an amazing magician called Jamie Allen … watch out for this guy… unbelievable!